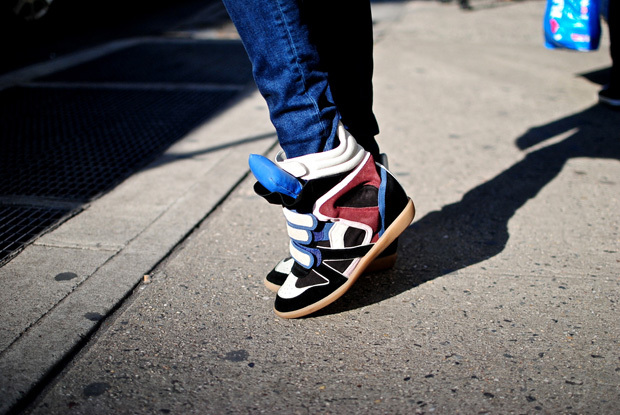 The thing in New York these days are those Isabel Marant high fashion sneakers, whether authentic or knocked off, but we have to be honest: we're not always into them. They're a bit fugly and pretentious, might be better to just buy some Nikes. Not so with this girl, though. Maybe the trick is to be tall or pair it with dramatic black or keep the jeans skinny and simple, but whatever she's doing, these sneaks are finally working for us.